On small (dessert size) plate. Spread softened cream cheese. Top with chopped fresh cranberries, then pecans and pepper jelly. Place on dinner size plate. Arrange fresh cranberries around smaller plate. 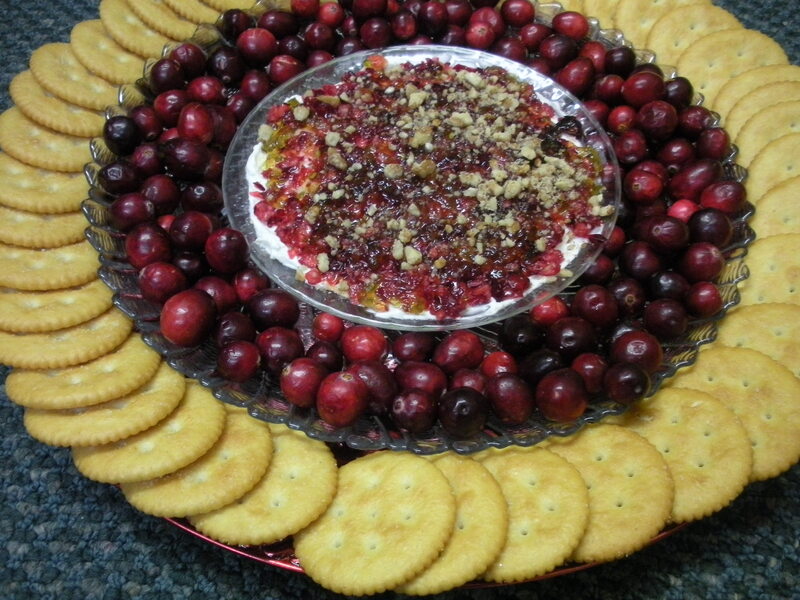 Place on platter or charger…arrange Ritz crackers around outer rim of platter. Beautiful! Everyone loves this delicious appetizer!